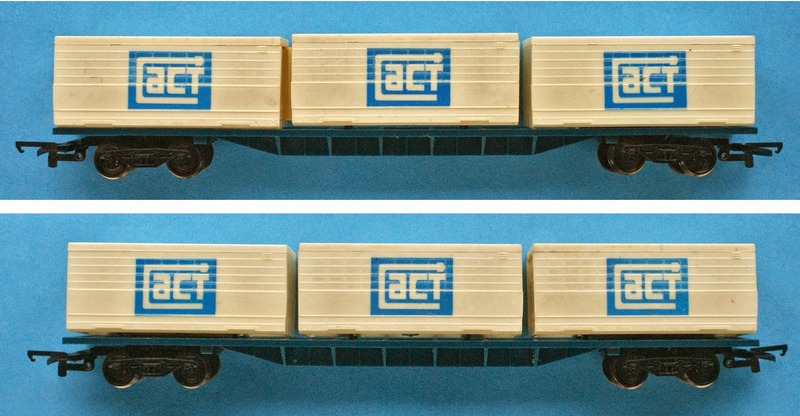 This Hornby Freightliner Container Flat with three 20' ACT Containers was produced, I believe, for the Australian market. I am not sure what ACT stands for but it could be Australian Cargo Transport. These wagons were only made between 1970 and 1972 and the containers were also produced in silver and blue, as opposed to the white and blue above. These silver and blue versions are rarer to find than the white and blue as they were only produced in 1970. The Catalogue Number for both versions is R839.